To this point in the NCAA Tournament, forward Mfiondu Kabengele and slasher Terance Mann had fueled Florida State in victories over Vermont and Murray State. 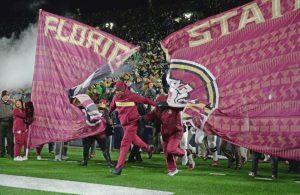 As the Seminoles get set to take on top-seeded Gonzaga in the Sweet 16, they’ll be looking for individuals to come up big and deliver FSU to a second straight Elite Eight. Florida State forward Doug Edwards played all 40 minutes in the Seminoles’ 85-74 loss to Indiana in Albuquerque in the 1992 Sweet 16. It wasn’t the best shooting day for Edwards, but the then junior led FSU with 20 points, nine rebounds and two blocks — all team-highs. It was the second straight season that the Hoosiers eliminated FSU in the NCAA Tournament, but they had no answer for Edwards. He finished with 18 points, 14 rebounds and two blocks the year prior. Doug Edwards had an illustrious FSU career and did some of his best work in the round of 16. In an 81-78 overtime victory over Western Kentucky in Charlotte in 1993, Edwards was efficient, shooting 8-for-13 with 19 points and nine boards before fouling out. 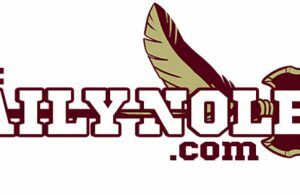 Edwards’ final basket gave FSU a 71-69 lead in overtime and helped the Seminoles hold off an upstart Hilltoppers’ team. The only player for Florida State more valuable than Doug Edwards during the 1993 Sweet 16 was fellow forward Rodney Dobard. Dobard wrecked havoc on the rim on one end while doing a spectacular job of protecting it on the other. Dobard helped set the tone with an alley-oop dunk early followed by a vicious put-back slam on an Edwards miss. Dobard was an efficient 7 of 11 from the field while notching a team-high 13 rebounds and four blocks in the overtime victory. 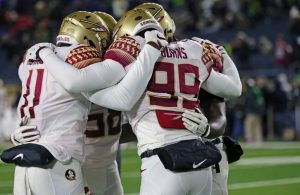 Derwin Kitchen’s FSU career would end in heartbreaking fashion, but Kitchen was not the reason. In a hard-fought 72-71 loss to upstart Virginia Commonwealth, Kitchen paced the Seminoles with 23 points, 12 rebounds and three assists in 42 minutes. Kitchen however, was unable to hit the winning shot at the end of regulation or get a look as time wound down in the extra period. After narrowly escaping Eastern Kentucky to open the 1972 NCAA Tournament, Rowland Garrett made sure the Elite Eight was in the cards for FSU with a double-double in a 70-56 win over Minnesota. Garrett hit 11 of his 19 shot attempts and his only free throw. 14 of his game-high 23 points came in the second half.